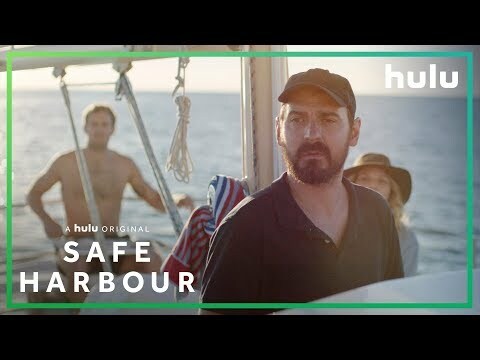 Safe Harbour tells the story of five Australians on a yachting holiday from Darwin to Indonesia, whose idyllic vacation takes a disastrous turn when they come across a broken-down fishing boat, full of desperate asylum seekers. The Australians decide to help, towing the refugees, but when they wake the next morning the fishing boat is gone. Five years later they meet some of the refugees again and learn the truth. Someone cut the rope between the two boats and, as a result, seven people died when the fishing boat sank. The revelation drives a wedge of mistrust between the Australians, as they grapple with protecting themselves and doing the right thing. The refugees struggle with their desire for justice and, possibly, revenge. As each group struggles to find the truth and old secrets come to light, one question hangs over it all - who cut the rope? Safe Harbour Season 1 was released on Hulu 239d ago in the US. Notify me when Safe Harbour Season 1 is available.